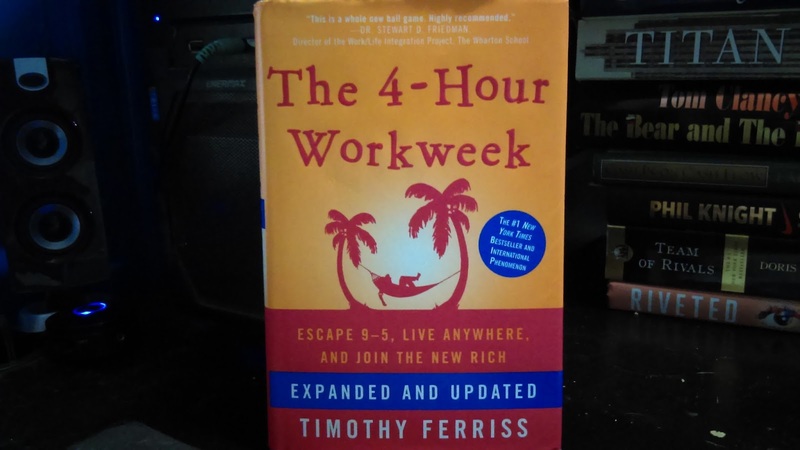 So most of you know or have at least heard of The 4-HourWork week. It has a bit of a cheesy title, which will rub people in the wrong way. In return, cause many to automatically stripe any merit the book may have. On the contrary, I think it’s a pretty solid book. Are there things this book may contain and claim that can seem impossible? Of course. Are there things this book may contain and claim that seem possible? Yes. It’s definitely possible to live the life you want. The issue is for some it may not be as quick as 6 months to a year. We all pretty much have different starting points. It’s just how it is. Time and work make up the difference. One of the big proponents that The 4-Hour Work week focuses on is the distinction between absolute and relative income. Who is richer, someone making 35k or 160k? Most people’s answer is the person making 160k. But, what if the person making 35k is only working 10hrs a week, while the other is working 80hrs a week. Now throw in expenses and demands of cost of living. Not to mention transportation and the value you place on freedom to do what you want when you want. As you break it down, one is making $62.50 per hour. Meanwhile, the other is making $41.67 per hour. Things start to get a bit interesting as you look deeper. This leads us to efficiency. Most jobs can be done in way less time than we are assigned to do. This includes the 8 hour work day. · Pareto 80/20: This basically means that 80% of your results come from 20% of your causes. They key is to hone and focus on the tasks which bring the maximum results. · Parkinson’s Law: Work expands to fill the time allocated to it. In other words, if we set loose deadlines to our work, we end up wasting so much time. Extra time is spent on things that make little to not affect on the end result we want to see. You can see how combining these two frameworks can sky rocket your productivity. The takeaway? Identify the critical tasks that contribute the most and give them short deadlines. One way Tim Ferris and many entrepreneurs do this is by outsourcing, which I think is a fantastic idea. You save money and time. You may hear your neighbor or friend brag about not paying someone to do some handy work at home or mow the loan which can take a few hours…often though becomes a day chore…just to save $20-40. But in the big scheme of things, was it really worth it? Could your time have been spent better on something else? Do you really want your whole day to be about saving $20? The point is don’t major in minors. There is one problem I do have with outsourcing. I totally understand the whole argument on the more higher the reward and the higher risk, but most people tend to outsource things they have no clue about. This ends up in you being taken advantage of or often scammed. Now I’m not totally pessimistic. There is a way around it: obtain foundational knowledge on what you’re trying to outsource. I’m not saying be an expert or anything, but at least know enough to speak the language so when you see something odd or a timeline often extended more than usual you can speak up. The book is filled with more keys on efficiency, ways of how to get out of the 9 to 5 or even go after your dreams. Understanding this “small” but important part can put you ahead of the game. If you haven’t already, pick up a copy or two of The 4-Hour Work Week.